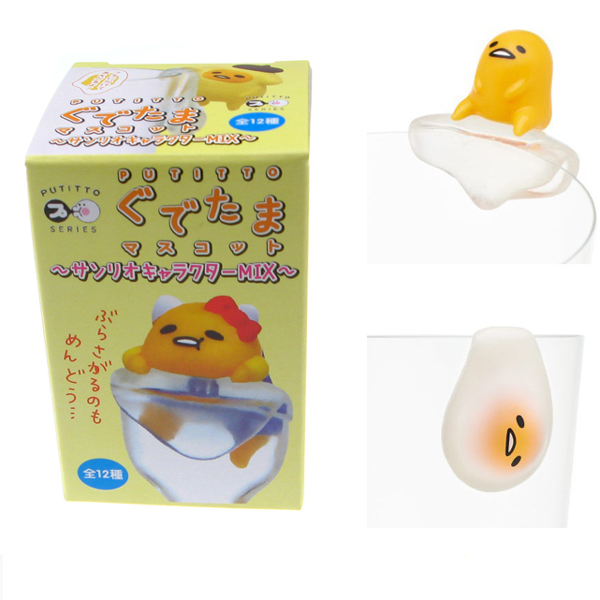 The Putitto series Gudetama Dress-Up Cup Edge Figure is part of a series of 12 different Gudetama figures which is designed to perch or hang on your drinking glasses. Some are dressed up as popular Sanrio characters like Hello Kitty, Pompompurin etc and others are just Gudetama in various poses. They are blind boxes, so we have no way of telling what figure you might get. Please note, this is not a toy and an adult collectable. Not suitable for children under 15 years due to small parts.Images are for illustrative purpose only. One random box figure will be sent out.